Mexico is calling for flexibility in the North American Free Trade Agreement talks. 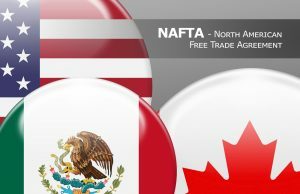 Meanwhile, a White House official says the U.S. will seek to replace NAFTA with bilateral deals with Canada and Mexico, if the talks fail. However, Canada and Mexico oppose that idea. Further, President Donald Trump over the weekend and again on Monday targeted Canada’s dairy supply management system, saying Canada’s trade practices are harming U.S. farmers. While much of the NAFTA discussion is focused on automobile trade, dairy is a sticking point for Canada, which is not backing away from its dairy program.